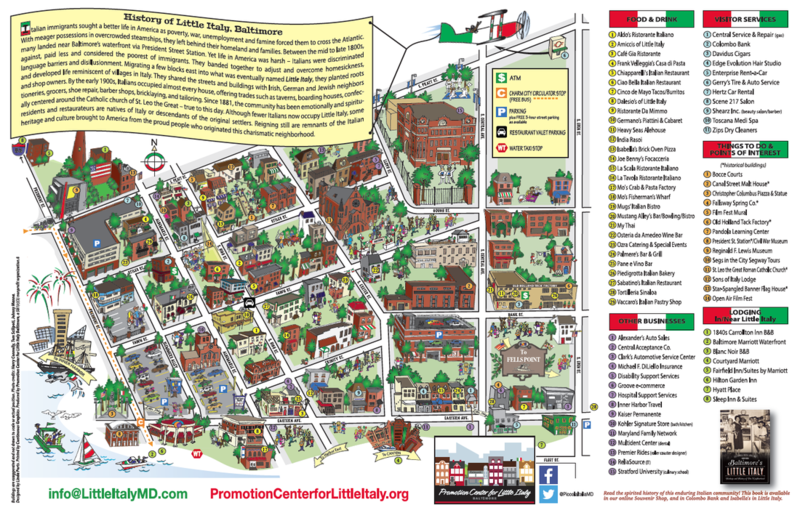 View full map on promotioncenterforlittleitaly.org/map.html. Note this is the last map version produced (Fall 2016) and some business listings and event information has changed. The map project has been discontinued.